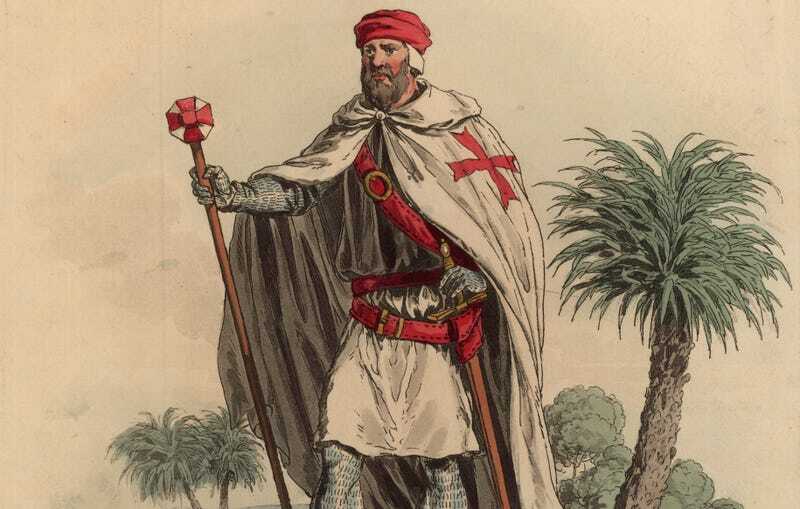 While it may sometimes seem that History exclusively airs back-to-back episodes of Pawn Stars, the cable channel will soon be adding a new scripted drama to its schedule: Knightfall, about the Knights Templar. And it’s got major star power behind it, courtesy of The Avengers’ Jeremy Renner. Knightfall received a 10-episode run and will aim to replicate the success of History’s other battle-hewn drama, Vikings. According to Deadline, Renner will executive produce and guest star—or even possibly become a recurring cast member, if his day job starring in movie blockbusters allows (in addition to his Hawkeye duties, he’s in the next Mission Impossible and Bourne films, as well as the adaptation of Ted Chiang’s scifi tale “Story of Your Life”).